I read these two booklets to determine if they were presenting a case for the celebration of Christmas and Easter. There are those who sometimes question whether or not we, as Christians, should participate in the commemoration of those two holidays given their somewhat pagan beginnings and their worldly celebration today. However, that was not Strobel’s intent. 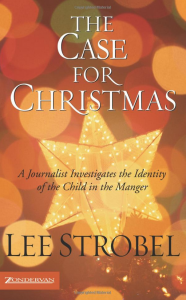 Both booklets are primarily excerpts from his book The Case for Christ, with The Case for Easter primarily extracted from “Part 3” of that book.